Typically generating a great deal of interest, excitement, andvolatility, initial public offerings (IPOs) offer investors andtraders with opportunities for both short-term and long-termprofits. In the Third Edition of High-Profit IPOStrategies, IPO expert Tom Taulli explains all facets of IPOinvesting and trading, with a particular emphasis on the industriesthat are fueling the next generation of IPOs, from socialnetworking and cloud computing to mobile technology. In the past year alone, many of these types of IPOs haveprovided enormous opportunities for nimble traders as prices havefluctuated widely for several months following the offering. Thisnew edition reflects the new IPO environment and presents you withthe insights needed to excel in such a dynamic arena. 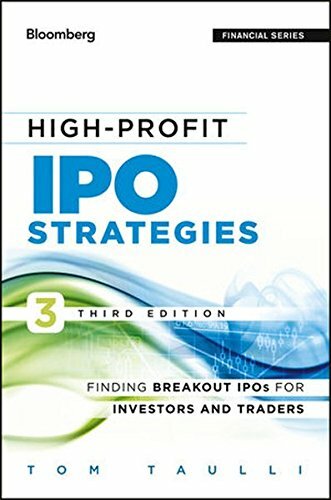 Comprehensive in scope, the Third Edition ofHigh-Profit IPO Strategies offers investors and traders withactionable information to profit in this lucrative sector of thefinancial market.